What is better than taking a shelter dog for a run? Taking several shelter dogs for a run! This weekend, that’s what happened thanks to some wonderful volunteer runners who came out for a morning run. Saturday, Xena hit the rail trail for a five mile run. She didn’t even a break a pant. Looks like she truly is a distance hound living up to her breed. Sunday, it was our first full house. 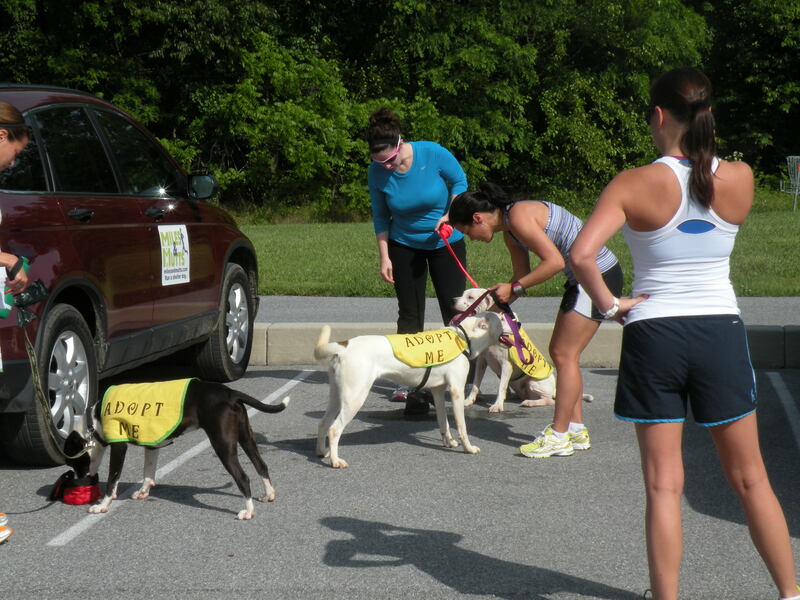 Three amazing volunteers showed up to run with Trinket, Cricket and Abigale. They ran three, four and five miles respectively. Both days were cool mornings perfect for running. Trinket remained calm, cool and collected like normal enjoying her morning exercise with a buddy. Cricket enjoyed another morning run with a new friend, her third time out for a run in the past month. Finally, Abigale was able to stretch her legs with a brisk 5 mile run falling into perfect pace during the second half. She’s a natural runner and could easily go further as well! Furry Fun Days was also kicking off in the park both days. 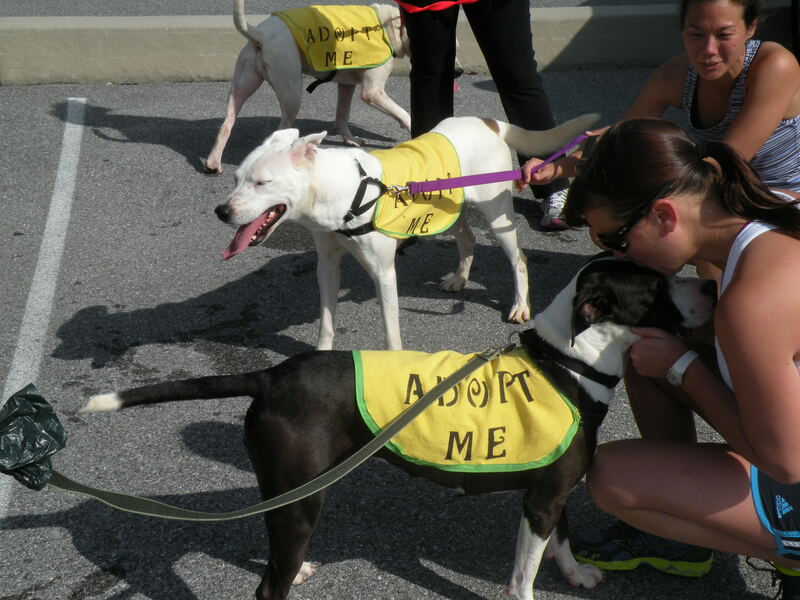 Running prior to the event, which benefited the attending shelters and rescues, provided a perfect opportunity to provide much needed exercise for some higher energy dogs. The dogs were able to take part in the day to show off what great dogs they truly are in their search for the perfect home. 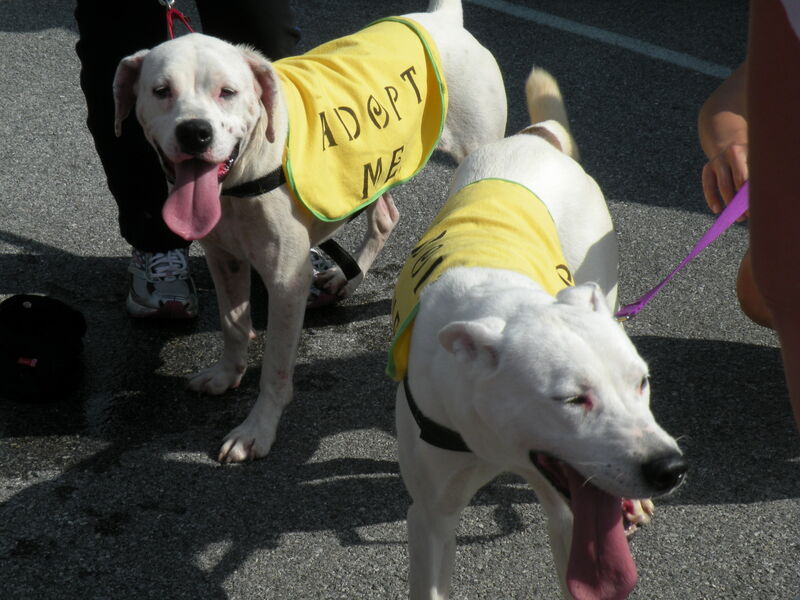 For more information on the dogs available for adoption, visit Better Days Animal League. For more information on getting involved in the running, click here. Also, keep in mind the Peace 4 Paws 5K on September 22, 2012 for you and your own dog. The dogs hope to see you for a run soon.